Open the Health Mate® app. Scroll down to My goals and tap Daily steps. 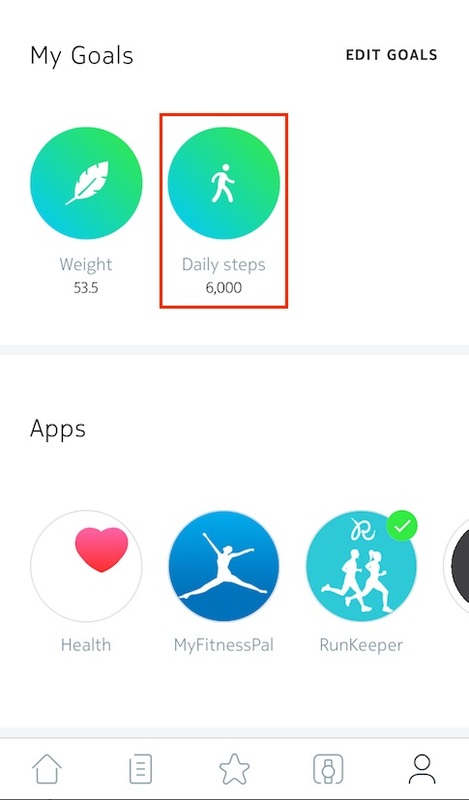 Tap and slide the daily step goal up or down to select the goal you want. Sync your Go by opening the Health Mate® app. 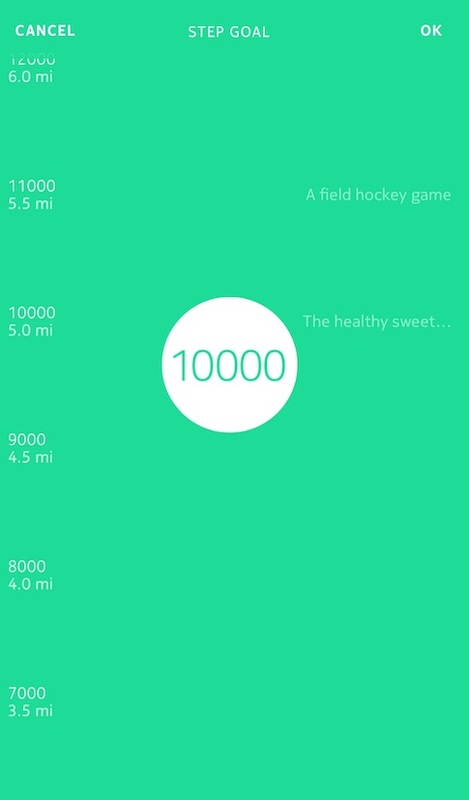 Your Go will now take the new steps goal into account when displaying your progress. Go - I'm having syncing issues. What should I do?